Spicy Queso Dip - only 4 ingredients! This stuff is CRAZY good!! It is a MUST at any party! Sausage, white cheese dip, black beans and diced tomatoes and green chiles. Everyone LOVES this easy Mexican dip!! We are close to the most exciting game of the college football - the National Championship. It is Monday night. I know a lot of people will be watching and snacking! 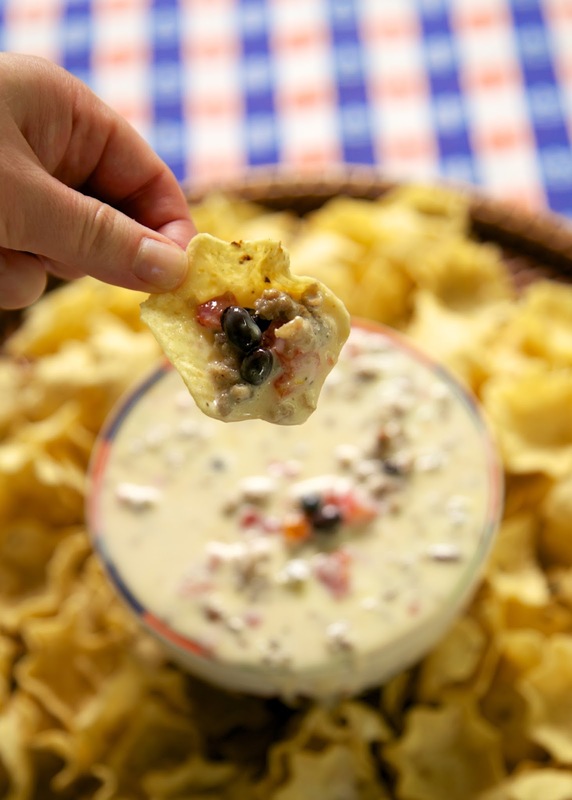 This Spicy Queso Dip is perfect for watching football. It has all of my favorite things in it - sausage, black beans, Mexican queso and Rotel. YUM! You can control the heat by using mild queso and mild Rotel. 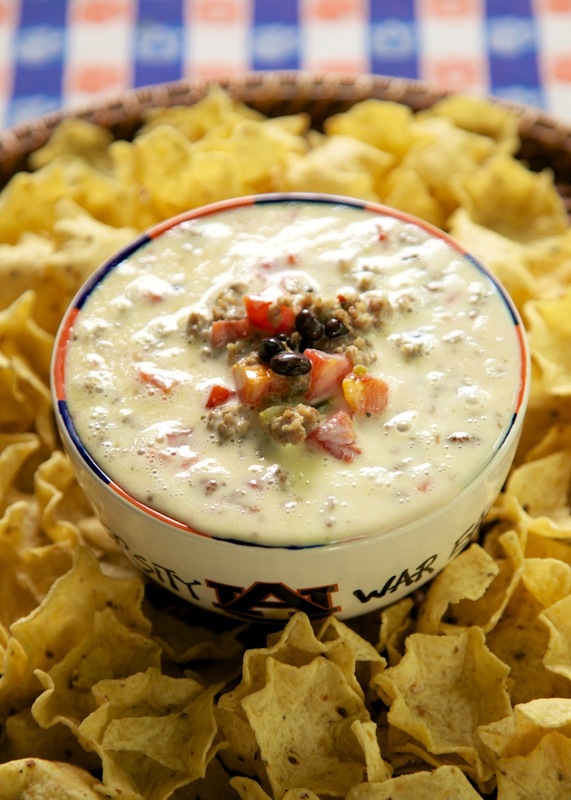 We like to kick it up with one mild queso, one hot queso, regular Rotel and hot sausage! We served this with tortilla chips and could have honestly made a meal of it. It is super addicting. We just kept saying "This is my last chip." After about five times of saying that, we reluctantly stopped eating. Spicy Queso Dip - only 4 ingredients! This stuff is CRAZY good!! It is a MUST at any party! Sausage, white cheese dip, black beans, and diced tomatoes and green chiles. Everyone LOVES this easy Mexican dip!! In a microwave-safe dish, heat queso dip according to package directions. Stir in black beans, sausage, and Rotel. Heat an additional 60 seconds. Serve with tortilla chips. On a scale of 1 - 10, how spicy is this? Just wondering if I should use 2 medium cheese dip. Thanks! about a 4 - not a lot of heat. I would use 2 medium, I like spicy food. When you need to cook alone it is always a good idea to get help so that you can learn how to be a good cook. One of the things that will help you a lot is to find online cooking classes from experts.